This drone is another foldable quadcopter we would like to present. 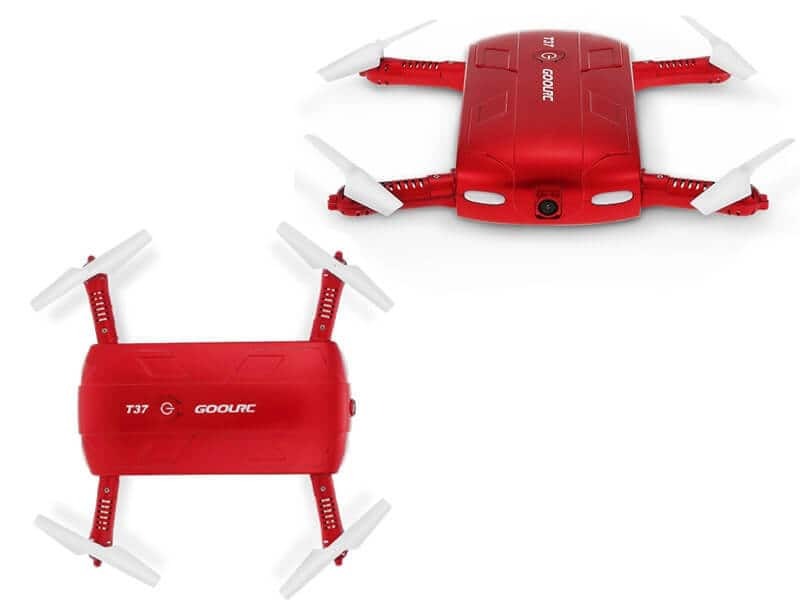 The design of the GoolRC T37 RC Drone is really simple, but very nice. It has foldable arms that tuck in its body and it is considered a pocket size drone, which means it’s really easy to carry and bring around. It has a built in camera that can tilt to a certain angle. The resolution of the camera is 720p and is much better than the resolution of the previous H37 camera that had only 480p resolution and we think that this is a big improvement. It’s very important for a drone to have a good camera. These are some official information about the drone, it looks pretty good for a pocket sized drone. 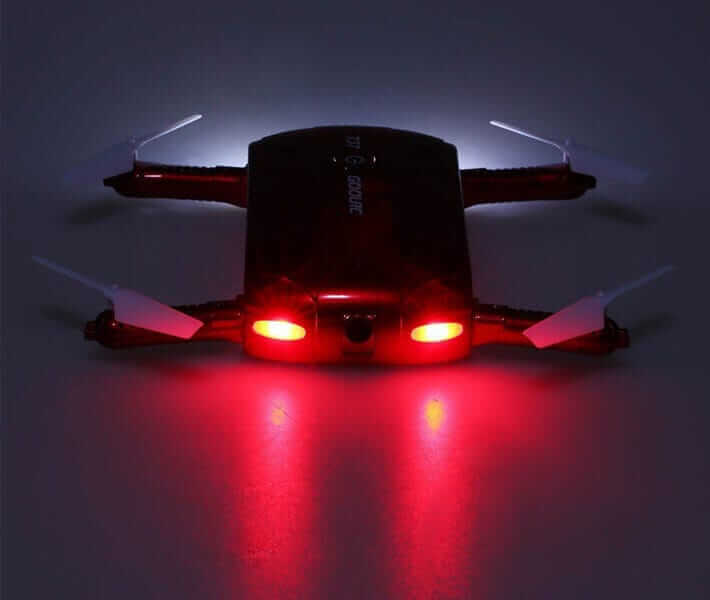 The GoolRC T37 RC Drone is easy to control and it flies very smoothly. The hard case of it makes this quadcopter very resistant to crashes so that even if you knock it badly, it will only have a few scratches. We recommend this drone to beginners as well, just because it’s easy to control as said above and because it has all those amazing specifications. 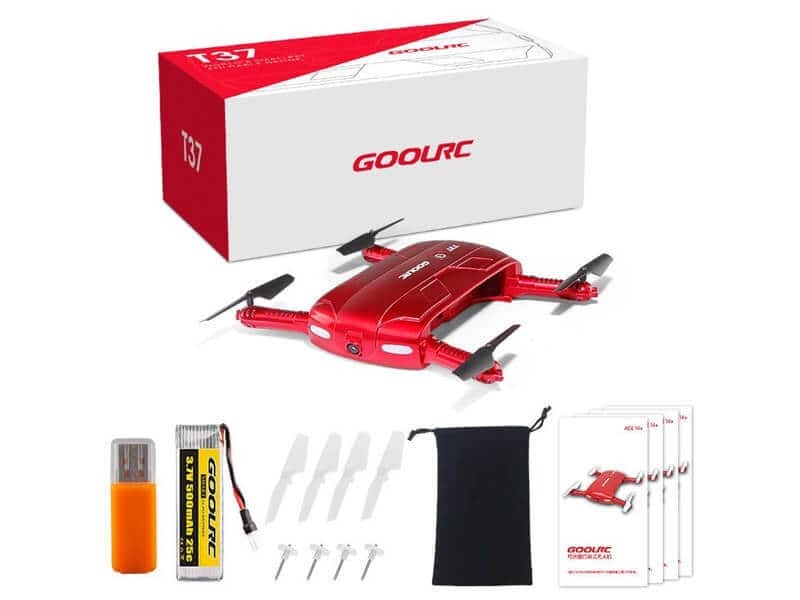 If you are interested in this drone then you can buy it online for about $33 and it is available only on the color red. 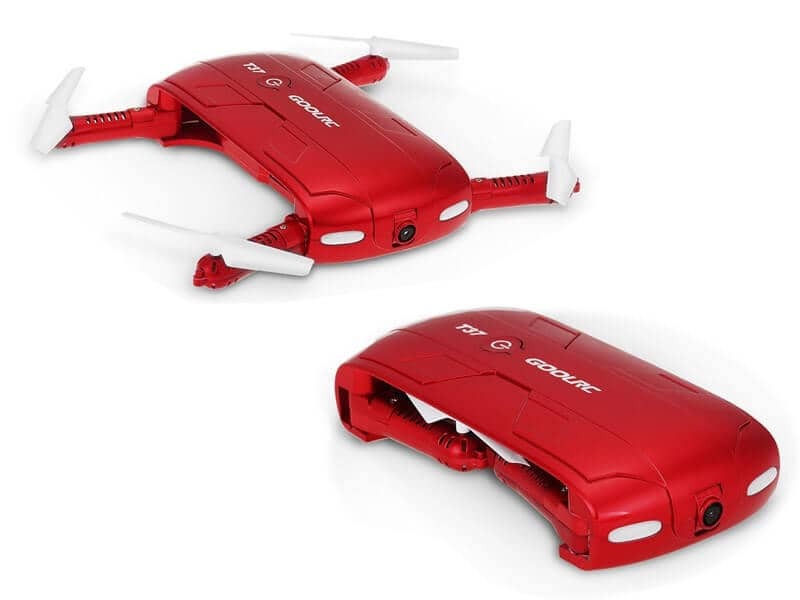 It’s quite a good price for a folding, pocket sized drone that has good specifications. Try it out and we believe you might find yourself a new best friend in this amazing drone.